Nutmeats Sliced Blanched Almonds - 25 Lb. Nutmeats Slivered Blanched Almonds - 25 Lb. Nutmeats Natural Sliced Almonds - 25 Lb. Nutmeats Bakers Walnut Pieces - 30 Lb. Nutmeats Halves and Pieces Walnut Combo - 25 Lb. Nutmeats Walnut Combo Medium and Large Pieces - 30 Lb. Blanched Sliced Almond - 5 Lb. Blanched Silvered Almond - 5 Lb. Almonds Natural Sliced - 5 Lb. Walnut Combo Halves and Pieces - 5 Lb. Walnut Bakers Pieces - 5 Lb. 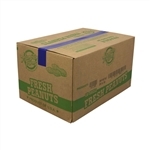 Unsalted In Shell Peanut Box Roasted - 25 Lb. Raw Halves and Pistachios Pieces - 5 Lb. Fancy Roasted and Salted Cashews - 5 Lb. Sunflower Kernals Roasted and Salted - 5 Lb.